TGIF! I've been nursing this sinus headache all week, so I'm praying the weekend gives me a little relief ('cause Lucy sure hasn't!). Anyway, Fourth of July is TOMORROW! so I thought I'd share some favorite red, white, and blue things this week! Enjoy! 5.) Did you catch this week's OOTD post? I'm obsessed with that dress and necklace combo...and it's perfect for Independence Day! You can find the original post + outfit details here. 3.) This year you can fly your flag and eat it too! 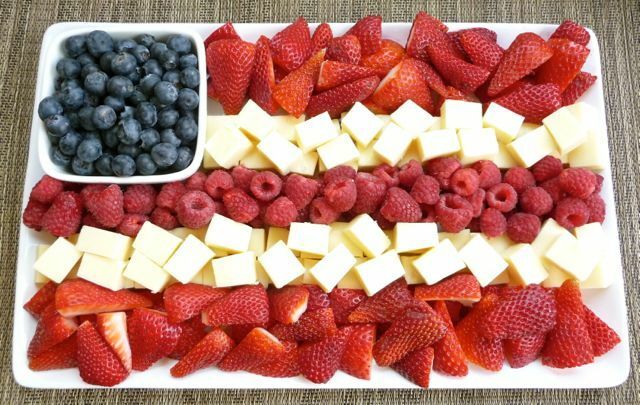 I love a good fruit and cheese plate for entertaining, and this one is super patriotic -- perfect for your celebratory soirees! 2.) 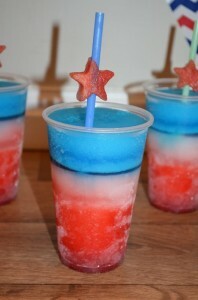 Wash down those appetizers with a yummy red, white and blue slushie! This one is cherry, berry and lemon flavored and sounds so refreshing for a hot July day! 1.) 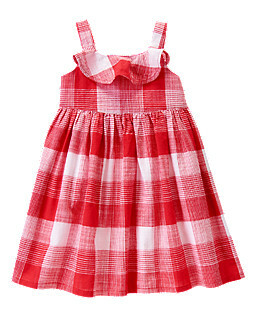 Lucy already has an outfit for Fourth of July, but I'm swooning over this little gingham dress from Gymboree. 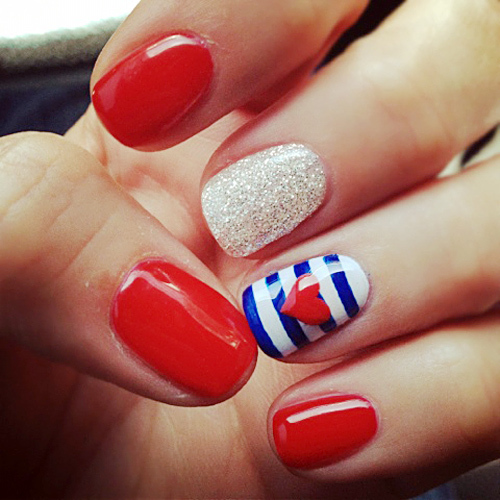 It just makes me think of picnics and summertime! Too sweet! Do ya'll have big plans for July 4th? We're hitting the parade and some nighttime fireworks! Happy weekend! And Happy Independence Day!